In marketing you have to stand out. And if there is so much competition in text, it is a logical consequence that you want to stand out using visuals. This means that these days “Visual Marketing” is hot. More and more brands try to get in the eye of their audience using images. Images with quotes, images with products on them or just pictures of celebrities in relation to the brands. As a ‘normal’ marketer it is tough to keep up with that. After all, you don’t have a group of designers waiting for your sign to create awesome images. On top of that, not everybody is a designer. Unfortunately that often is very clear (and yes, I am guilty of that sometimes). But hiring a proper designer can be costly, especially for those social media updates. There are tools out there that can help you. Tools to create your own visuals. 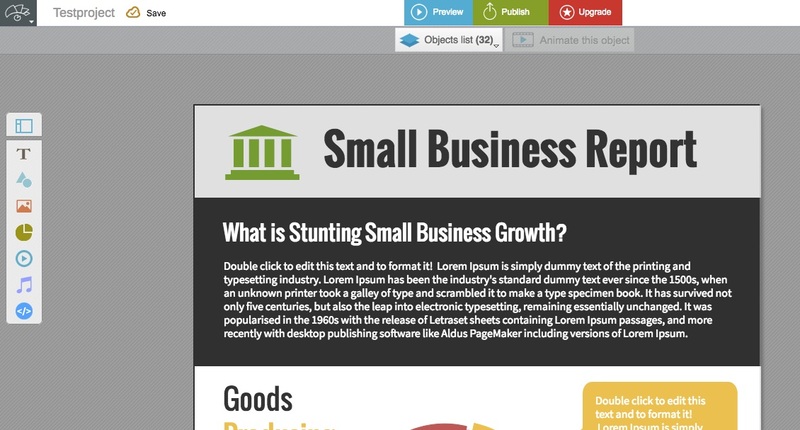 Find below 18 free tools that will help you boost your visual marketing efforts. 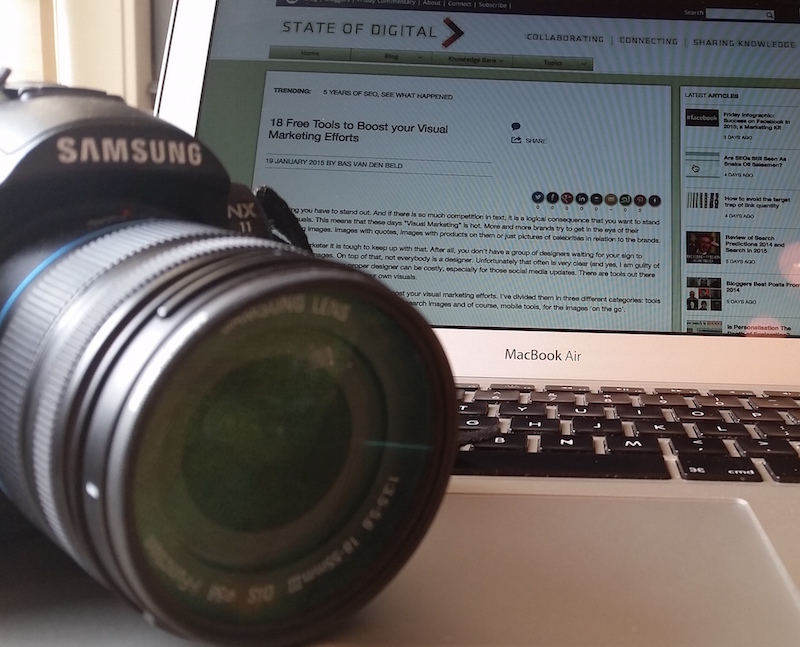 I’ve divided them in three different categories: tools that help you create images, tools that help you search images and of course, mobile tools, for the images ‘on the go’. Looking to create a great image or infographic? Or maybe change the one you have and make that image you shot at the event look a little bit better? Before you had to rely on tools like Adobe Photoshop and Illustrator and the knowledge of your designer. But there are tools you can use that will make your life a lot easier. 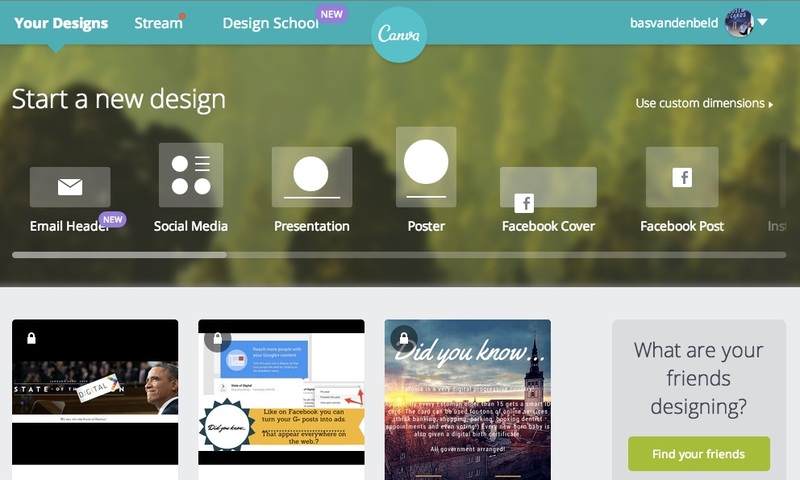 My personal favorite is Canva.com. 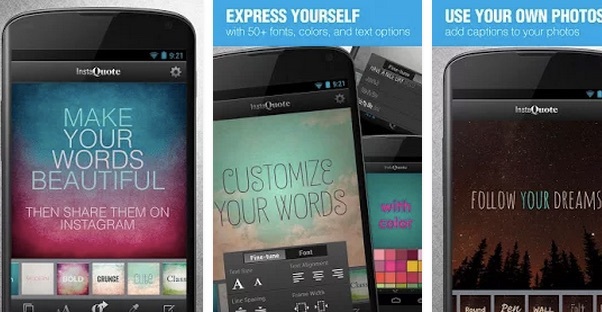 Canva is a tool that allows you to quickly create images for every social network. 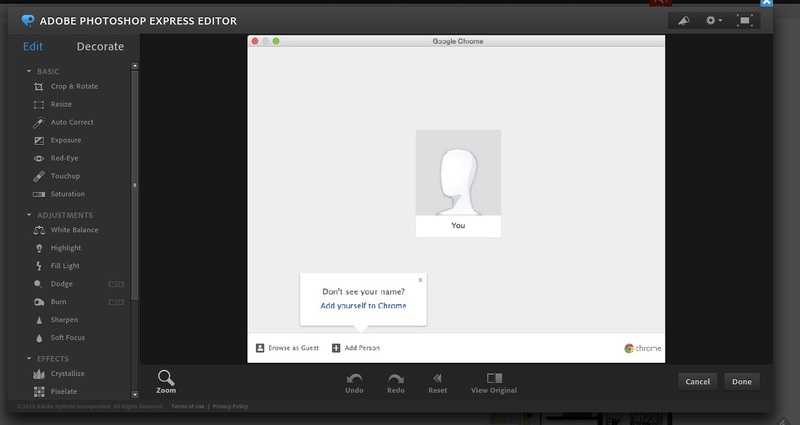 When you log in you instantly can choose for what social network you are creating an image. The good thing here is that the sizes are set for you. 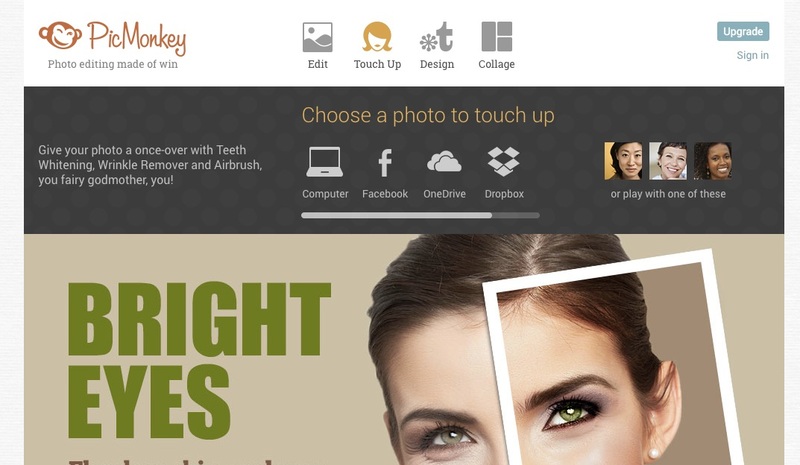 You can choose from a set of free backgrounds and you can upload your own images. If you want more there are paid images (only a dollar) available as well. 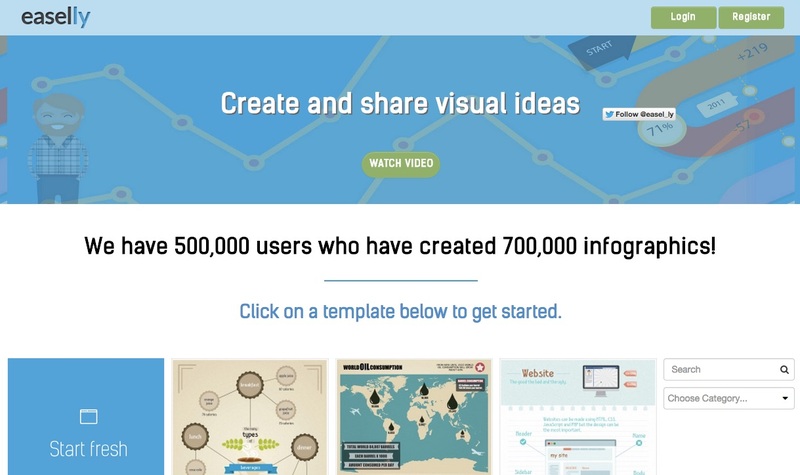 Do you want to create infographics without having those design skills to do it? Easelly might just be your friend. The free version of this tool let’s you choose a basic infographic template and change it to your own likings. Very easy to use, limited functionalities, but very effective. If you want to take it one step further than Picmonkey or Easelly and have a bit more control, Visme is a nice tool to create infographics or even better looking slides for your presentations. Here you can create ‘projects’ with templates for Presentations, infographics, Banne ads or a ‘blank’ template. It allows you to easily add information, graphics and images to create a professional looking image. You can even create custom charts for your infographics. Wait, Photoshop? 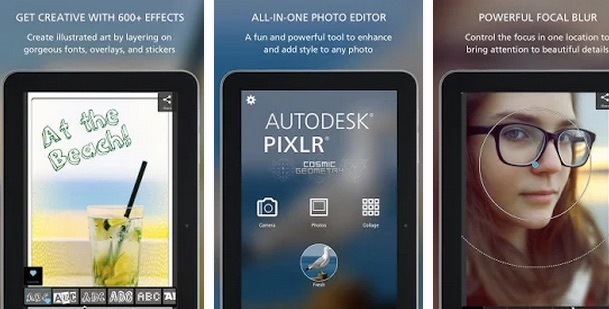 You mean that insanely expensive tool from Adobe? The one that also takes a year to get comfortable with? Yes that one. 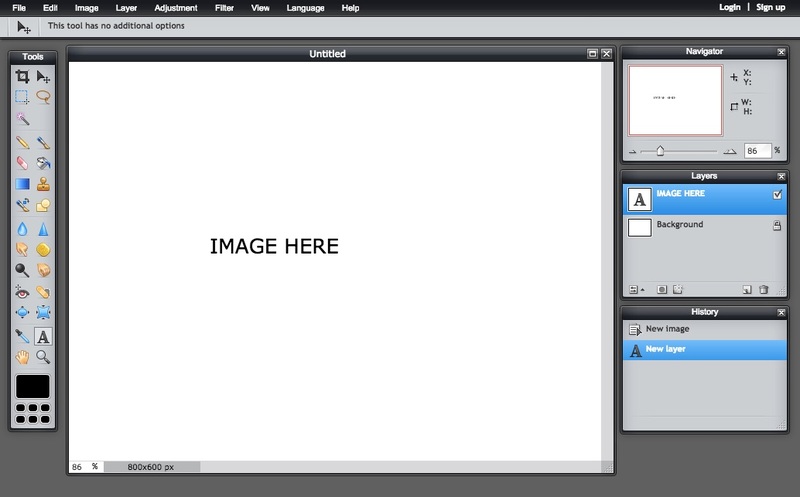 Photoshop decided to also ‘give’ us a free online tool! It only supports jpegs, but there is a lot you can do with it. All the basics of photoshop are there. Finally there is Pixlr. This is a light ‘photoshop’ type application, which basically let’s you do most things that Photoshop does, within reason. If you want to create your own images or adjust your existing ones, with a lot of freedom, this tool is perfect for you. Pixlr doesn’t have templates, so you have to do it all yourself, but it does allow you to do most things needed, so if you are a little bit more ‘design savy’, Pixlr is your choice. Looking for that funny angle or simply looking to stand out? Why not look for an animated gif? 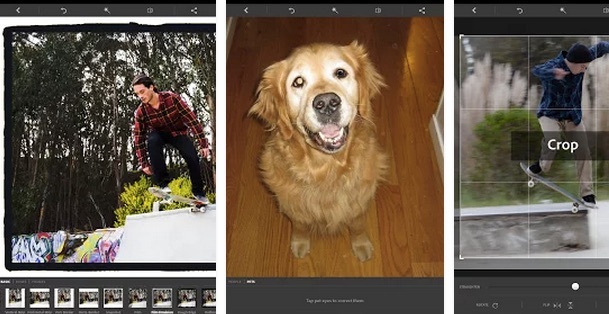 Giphy helps you find these, either via categories, or via search. Finally there is mobile. As we all know mobile is ‘hot’. 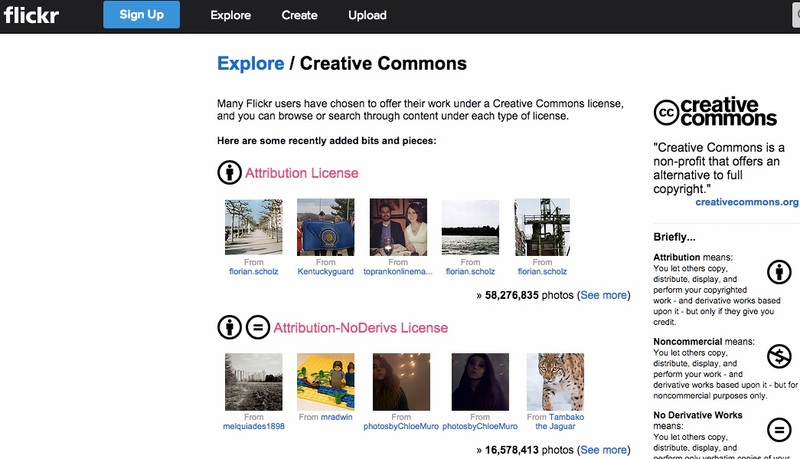 This means you should be able to create and share images from wherever you are, even as a business. Think about events for example. You should be able to share from there! And don’t forget Instagram, which is mostly a mobile platform in the first place. 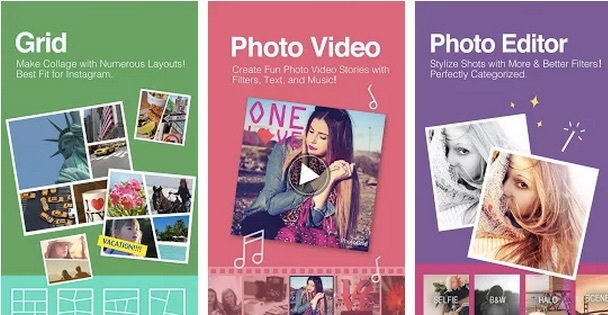 Autodesk Pixlr is the mobile version of the earlier mentioned Pixlr, allowing you to quickly create collages, quote images and much more. A very complete tool that does most of what you would want to do when on the road. I’m hoping this one to get an Android version really soon, because as an Android user I really feel left out here! These tools of course are only the tip of the iceberg of what’s available online to create stunning images. So we are very curious about the tools that you know. If you add enough new ones we might just create another post like this!